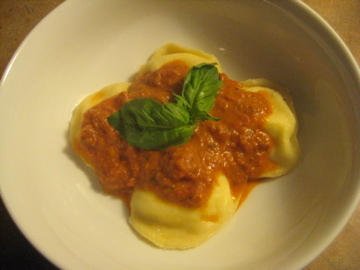 The true test of a good ravioli is not necessarily the quality of its ricotta, texture of its dough, or ability to hold up under a heavy Bolognese sauce. It’s the box it comes in. The pasta at Sabella’s, (formerly Louise’s), knows it is good. In fact, it is so confident in its prowess as Best Ravioli in Boston that it goes incognito for fear of paparazzi. When you walk into their store in Revere, you come out with boxes so smug they don’t bear so much as a crest, symbol, or seal of their brand. 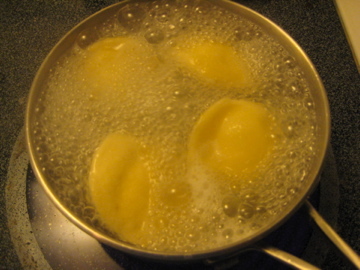 My favorite (and I’m sure Sabella’s biggest seller) is the cheese ravioli. 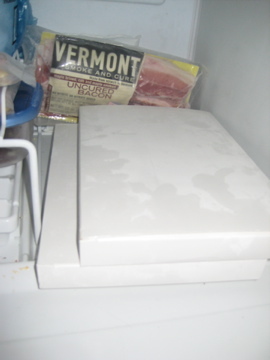 Eaten for generations in my family, during holidays, special occasions, or just a Tuesday night, I was recently gifted with two boxes – a generous and delicious present. I’m not quite ready to make the season’s first meat sauce, so I made my next favorite- vodka sauce- and then readied the ravioli. From frozen to perfectly done in just 6 minutes, my favorite thing about this pasta is the thickness of the dough. 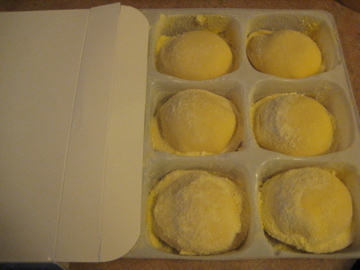 These ravioli are really substantial – they make you work for the filling- but it is this seal that keeps the ricotta from becoming watery and grainy (a serious downfall of many shoddy ravioli). The dough keeps the filling smooth and creamy, almost marscapone-like in texture, and maintains the integrity of its mild flavor. Satisfying enough that a box of twelve really does serve four, we’re looking forward to several more delicious meals at my house.